If Michigan is going to single-cover Hayes in the block, UW may wish to exploit that for the next 10 minutes or so. #Badgers down, 39-32, with 16:01 left. Badgers 0-4 shooting and 3 TOs this half. Woo boy. Badgers have scored 2pts in 7mins of 2nd half. Still down just 10 though. 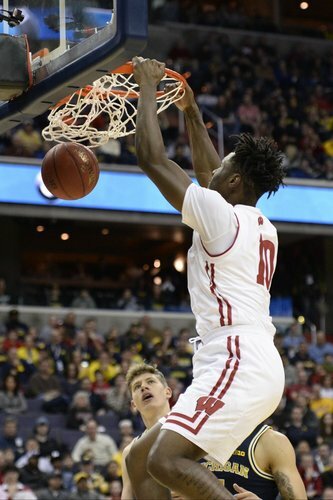 So #Badgers miss first seven shots of half, toss in 4 TOs, and are down by 8 with 11:29 left. It took 8:08, but Happ scores UW's first field goal of the second half. 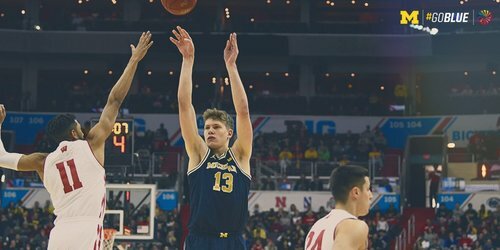 Michigan up 44-36 with 11:29 left. #Badgers Trice struggled in Ann Arbor and is doing so again today. That's the kind of bounce that makes me think this might not be our day. Badgers shooting 22.2% for second half. Yeesh. 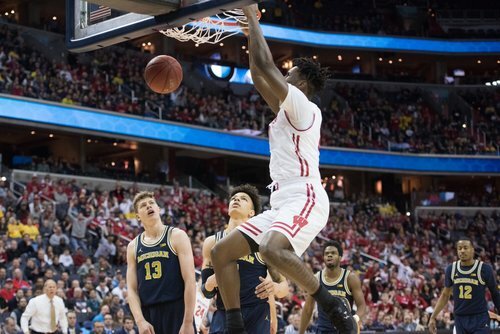 Showalter's teal and layup extends a modest 5-0 run for Wisconsin. Badgers trail 51-45 with 6:06 remaining. UW hanging around. A 5-point burst has the #Badgers within 51-45 with 6:06 remaining. #Badgers have 5 TOs this half and 5-19 shooting but are now within 6 after 3 by Brown and steal/score by Showalter. 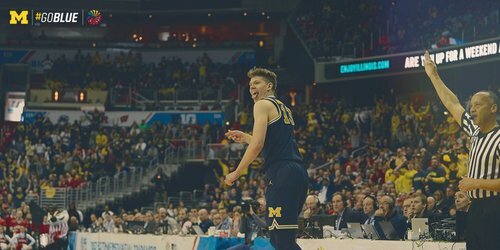 Michigan leads, 51-45, with 6:06 to play. #Badgers cut the lead back down to 6. Koenig (13), Happ (12) & Hayes (10) in double figures. #Badgers Koenig was 5-7 in first half. He is 0-5 this half. 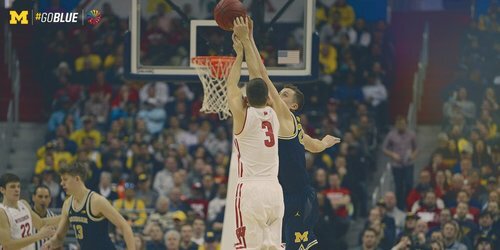 Great defense by the #Badgers , but Irvin hits a contested 3 and pushes Michigan's lead back to 9. 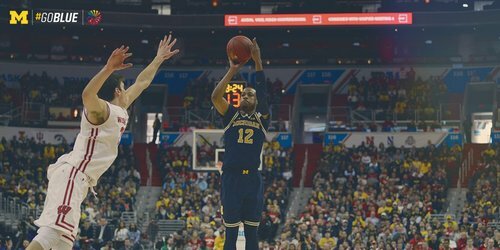 Big-time shot by Michigan senior Zak Irvin to beat shot clock. Shot 32% from 3 prior to tournament. Good D by Jordan Hill. Happ has 11 rebounds. By my count, four of them have been off his own shots. Timeout Badgers. 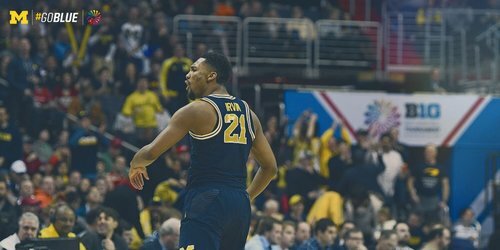 57-50 Michigan, 3:34 left. Showy with a big 3 to keep the #Badgers within striking distance. Let's get some stops here, fellas. 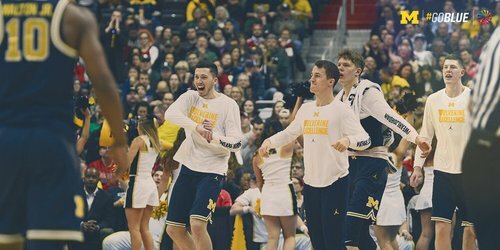 MICHIGAN leads, 57-50, with 3:34 to play. Badgers have been killed on pick and roll all game long. Ball is not bouncing our way. Bronson Koenig was 5-for-7 for 13 points in the first half. He's scoreless in the second half on five shots, despite playing 18 minutes.